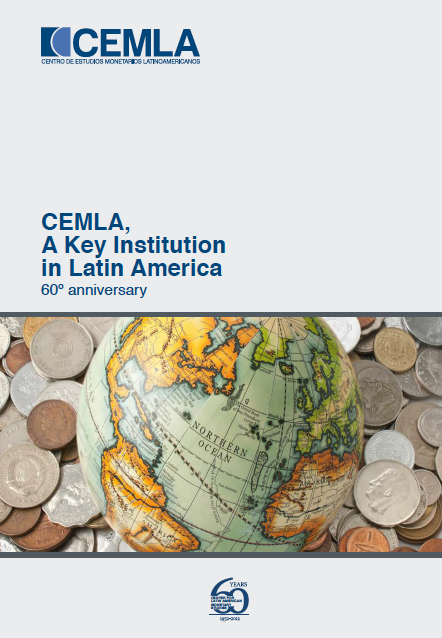 CEMLA focuses its activities on the monetary, financial and banking fields, where it promotes research, organizes international meetings and seminars and analyses experiences that are systematized through the administration of technical assistance and training programs oriented to capacity-building and updating of the staff of its associated and collaborating members. 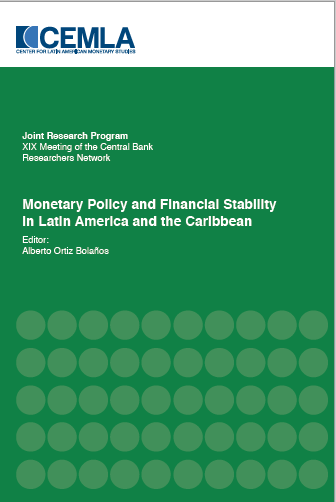 One of the Center's main objectives is to inform about the evolution of economic trends inside and outside the Latin American and Caribbean region, as well as to publish main international and regional facts in monetary, banking, and exchange policies. Its books, reviews and bulletins contain a wide stock or information for analysis and represent a permanent source of data for people interested in these matters. 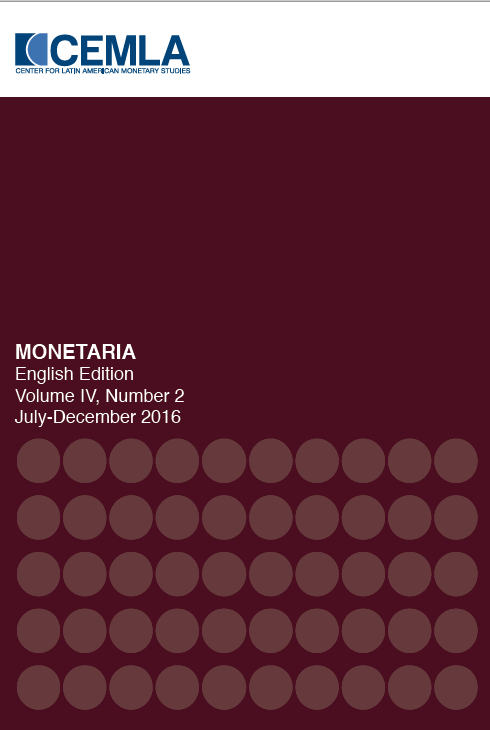 CEMLA's publications comprise two types: Periodical (Boletín, Monetaria, and Money Affairs) and Non-periodical (Research and Discussion Papers). 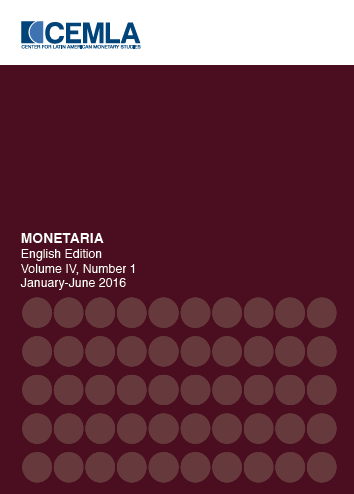 The Centre produces publications in printed and electronic formats. Does It Matter Who Borrows from Abroad in EME? 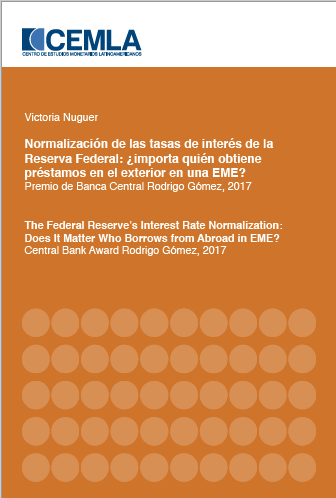 In this study, Victoria Nuguer builds a small open economy model with banks and exporting firms. She observes that an increase in the foreign interest rate makes borrowing more expensive and brings the econ­omy into a recession. When natural nonhedged firms borrow from abroad, an increase in the foreign interest rate prompts more volatility in the emerging economy than when naturally hedged firms borrow from abroad. 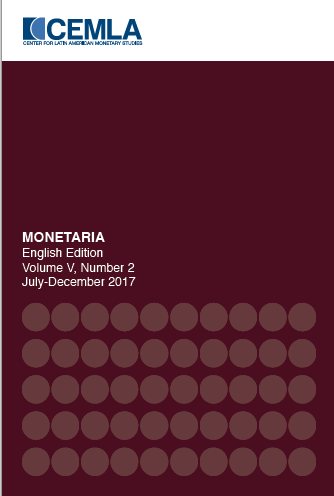 Thus, she proposes a nonconventional policy in which the financial authority lends to nonhedged firms when foreign borrowing is more expensive. Finally, she ob­serves that households are better-off with the policy than without it. 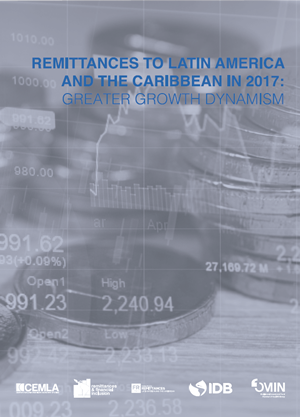 In 2017, the income of Latin America and the Caribbean (LAC) from remittances received from abroad rebounded, benefitting millions of recipient households and helping to fund their living, education and health expenditures, as well as investment in improvements to housing and family businesses In general, the main aspects characterizing the evolution of said income"
Over the last few decades the interest in understanding household financial decision making has been growing. This interest has partly been due to its close relation with two phenomena of particular importance to developing economies: financial inclusion and financial literacy. 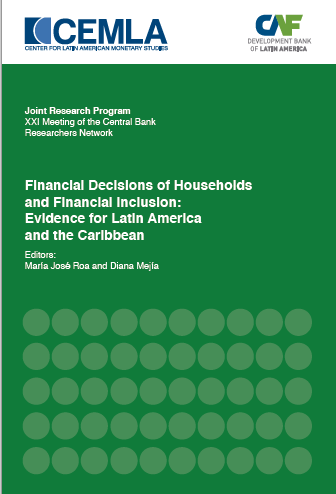 A set of recent macroeconomic studies have shown how financial inclusion is positively related to financial stability, economic growth, equality and poverty reduction. 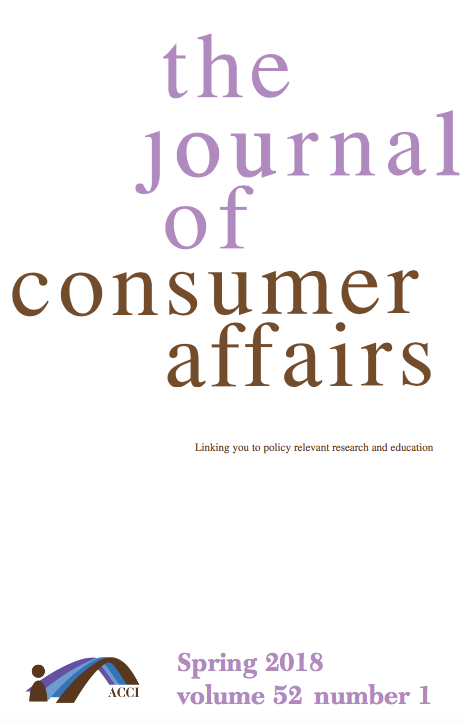 This paper analyzes the importance of numerical abilities, conscientiousness, and financial literacy for individuals' financial decision making and participation in formal financial markets. Our analysis is based on the Financial Capabilities Survey, which was applied in four countries of the Andean Region: Bolivia, Colombia, Ecuador, and Peru. 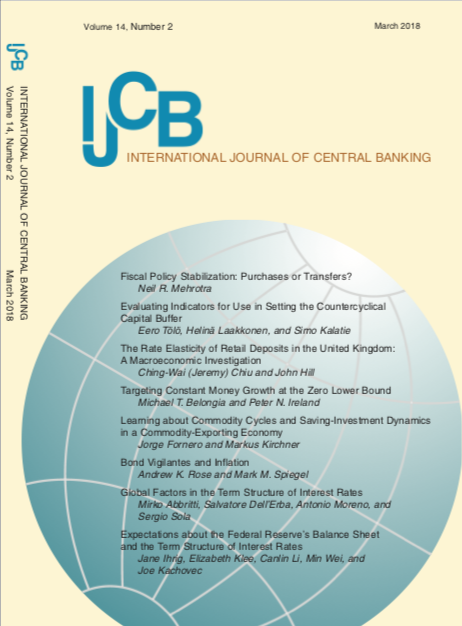 The empirical analysis underlines the centrality of numerical abilities, different subfacets of conscientiousness (propensity to plan, perseverance, and scrupulosity), and financial literacy in developing a propensity to save and borrow, and in participating in the formal financial sector. Existing literature uses data based on the residence principle to proxy for currency mismatch. Nonetheless, these data are frequently not disaggregated by currency and cannot identify mismatches in the domestic market. 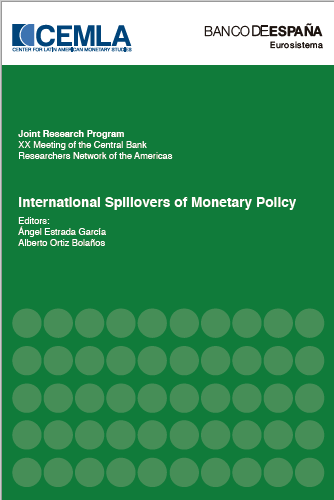 This paper circumvents these issues by constructing a new data set on foreign currency assets and liabilities in the banking sector in Latin America and the Caribbean. The new data reveal a reduction in long foreign currency positions, with several countries taking short positions after 2006. 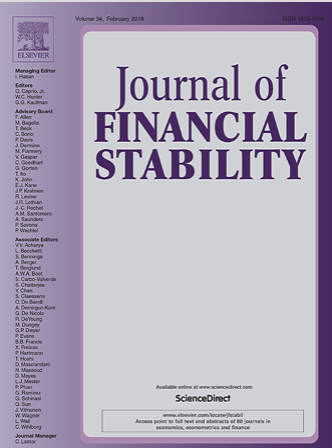 Moreover, employing a methodology that accounts for time-varying unobservable characteristics, this reduction is shown to be partially explained by the implementation of prudential policies. We examine the effect of competition and business cycles on bank capital buffers around the world. We use a dataset of 3461 banks from 25 developed and 54 developing countries over the 2001–2013 period. Banks tend on average to exhibit pro-cyclical behavior. But capital buffers seem to be more pro-cyclical in developing countries. Our results show that more competition leads to higher buffers in developed countries but to lower buffers in developing ones. This evidence suggests that the “competition-stability” thesis adheres in developed economies, whereas “competition-fragility” makes more sense in developing countries. This asymmetric result may have important policy implications, particularly with regard to new, globally-negotiated capital adequacy standards. Deuda pública y privada: ¿están en riesgo los mercados emergentes? 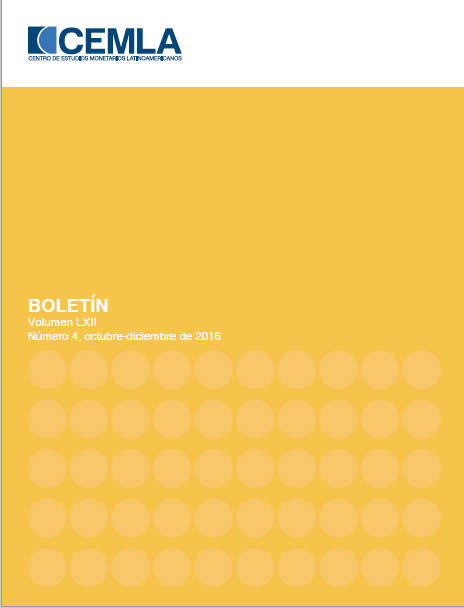 ¿La aplicación prolongada de una política monetaria expansiva aumenta la vulnerabilidad financiera? In 2016, remittance flows to Latin America and Caribbean reached new record levels that had a very positive impact on millions of recipient households. The most important aspects characterizing the behavior of such inflows were: i) remittances amounted to usd 70,369 million, after having accumulated increases for 7 consecutive years; ii) the annual growth of these inflows was 7.2%, which represents the highest growth rate recorded in the past 10 years, iii) the increase in remittances was generalized throughout all the different subregions; and iv) stemmed from, among other factors, higher employment, average wages and, consequently, the total wage bill for migrant workers from the region in the main destination countries. 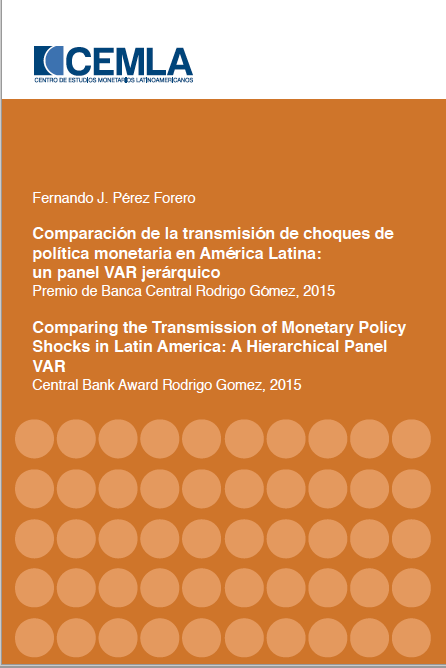 What Is the Role of Size in Latin American Bank’s Perfomance in Response to External Shocks? 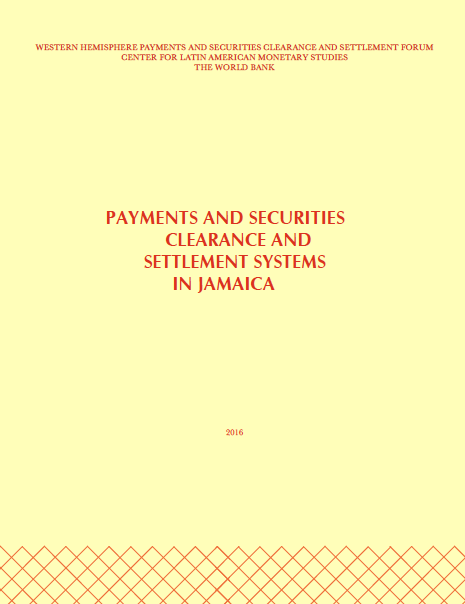 Jamaica has a well-developed payment and settlement system that was enhanced by major Payment System reform initiated by the Bank of Jamaica in 2005. 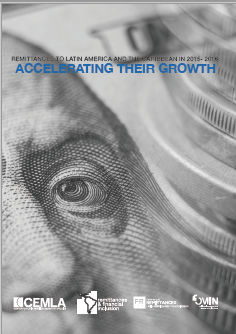 For the second year in a row, remittance flows to Latin America and the Caribbean (lac) in 2016 exceeded previous record levels, reaching usd 65,657 million with a growth rate of 5.9% on the previous year. 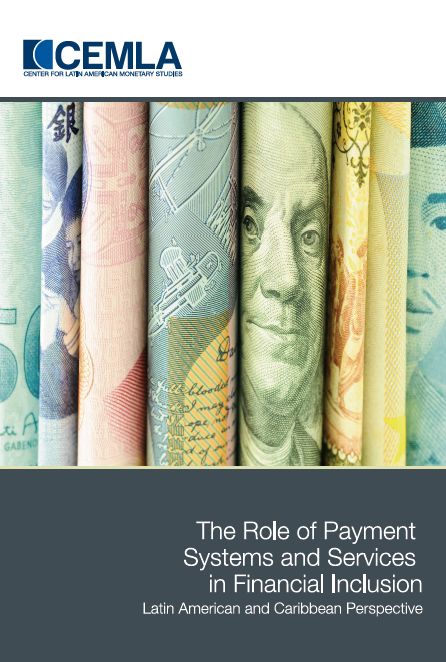 Electronic retail payment systems and services (ERPS) consist of different systems and platforms, payment products and services that allow firms, individuals, government and other economic agents to transfer money on a daily basis without having to use cash. 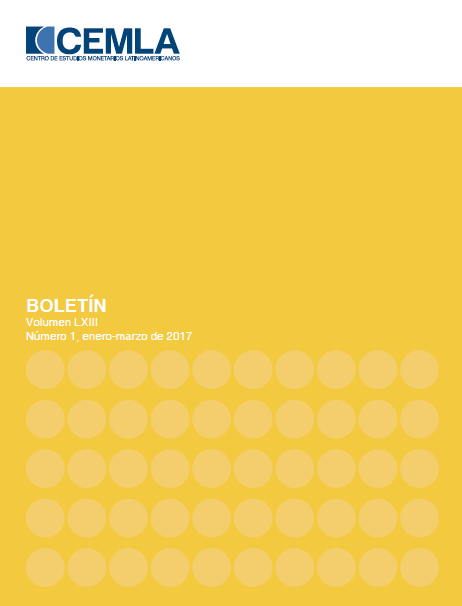 Pros y contras del efectivo: ¿cuál es el estado del debate? 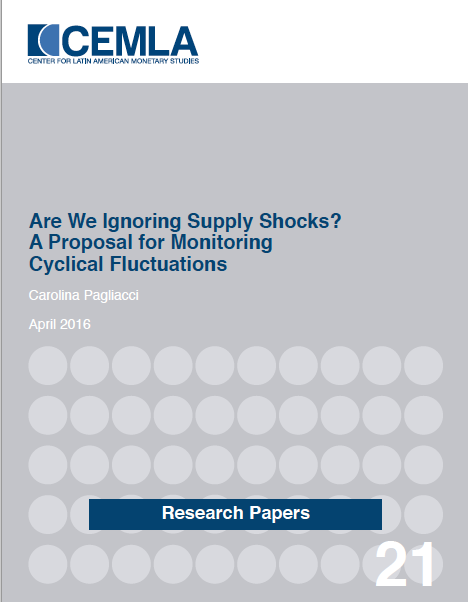 Although there are several mechanisms within modern theoretical models acknowledging that supply shocks can account for an important part of output fluctuations, even in the short-run, policy practitioners continue endorsing the idea that only demand shocks explain them. 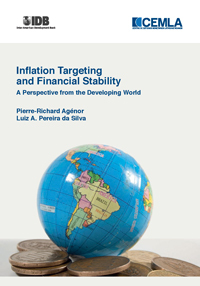 This paper assesses and compares the effects of monetary policy shocks across Latin American countries that put in practice the inflation targeting scheme (Brazil, Chile, Colombia, Mexico, and Peru). 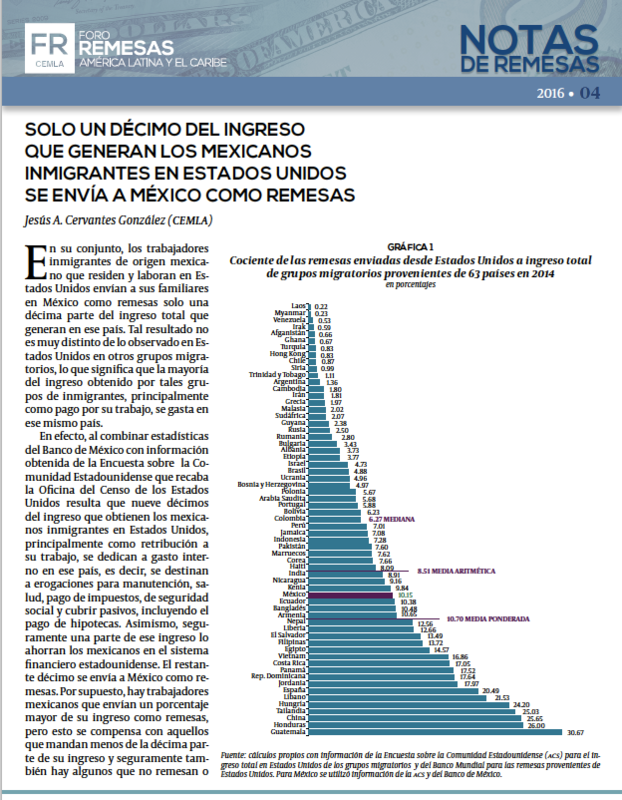 En su conjunto, los trabajadores inmigrantes de origen mexicano que residen y laboran en Estados Unidos envían a sus familiares en México como remesas solo una décima parte del ingreso total que generan en ese país. 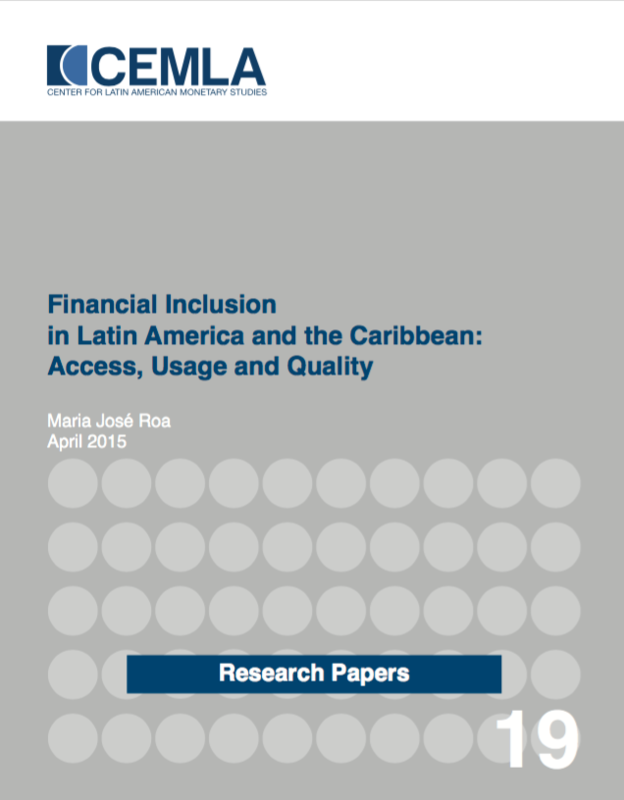 This study presents a general overview of nancial inclusion in Latin America and the Caribbean. We employ data for the three dimensions: access, use and quality, which outline a complete picture of the nature and characteristics of nancial inclusion in the region. The second meeting of Central Bank Technicians of the American Continent was held in 1950 in the city of Santiago, Chile. At this forum the delegation from Banco de México, led by Agustín Luna Olmedo, Head of the Economics Studies Department, presented a project for establishing a body that would be called Institute for Latin American Economic Stud- ies. All indications point to the outstanding in uence in the idea for the project of the Deputy Director of that bank, Rodrigo Gó- mez, and the Spanish economist, Javier Márquez, who had trav- elled from England to Mexico in 1939 to live in the country for the rest of his productive life. Financial education and inclusion have captured the interest of different international players, as well as global and regional forums. Governments in the region and around the world have also identified financial education and inclusion policies as a tool for promoting economic growth and social equality within a context of financial stability. 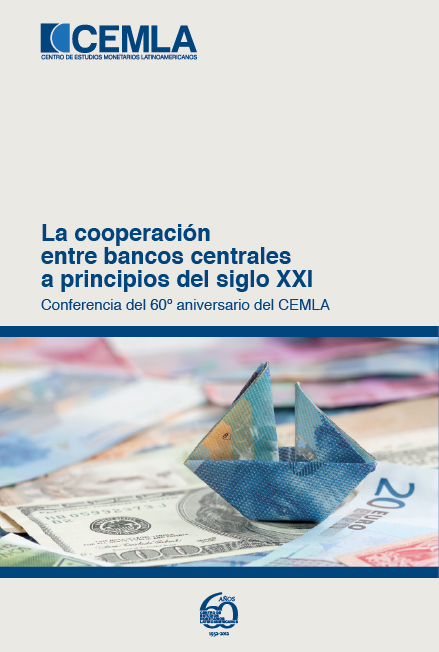 The Conference on Central Bank Cooperation at the Beginning of the 21st Century was held on July 19 and 20, 2012, as part of celebrations to commemorate the 60th anniversary of the Center for Latin American Monetary Studies (CEMLA). 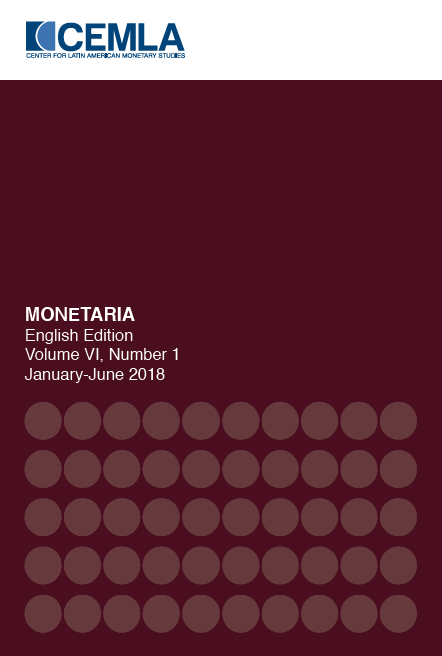 On these days, authorities from our associate and collaborating institutions, international organizations and special guests, gathered at CEMLA's offices in Mexico City to debate different aspects of central bank cooperation. 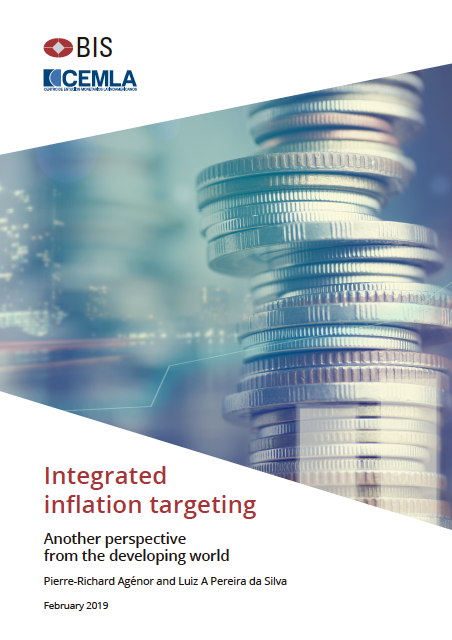 This study discusses recent experiences with inflation targeting (IT), the challenges that it faces since the global financial crisis, and ways to address them. The discussion is conducted from the perspective of upper middle-income countries.